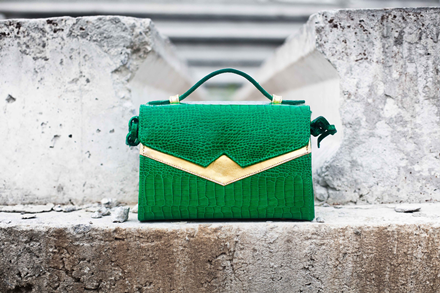 I introduced you to British/Nigerian luxury handbag brand Zashadu last week, and I couldn’t resist showing you its recently released Resort 2014 collection. Now, I’m not usually a massive advocate of resort collections, but this collection just works. 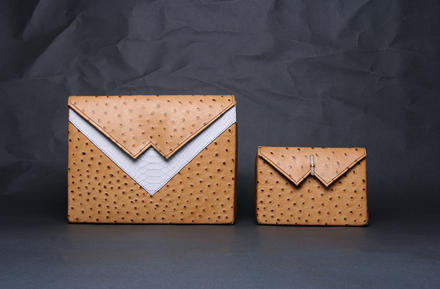 Classic Zashadu styles such as The Justice, Box Clutch and TKO are created using a versatile tan ostrich and white python. 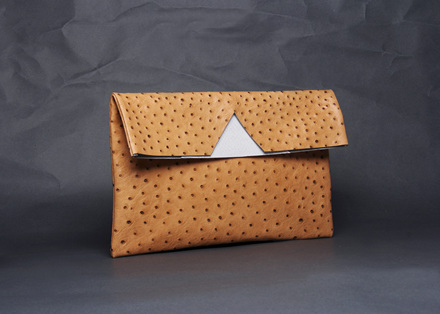 That being said, the envelope clutch is my absolute favourite! This collection is truly beautiful and perfect for the season! View more from Zashadu on its website, where you can also purchase current styles. I adore the abstract prints of Givenchy. 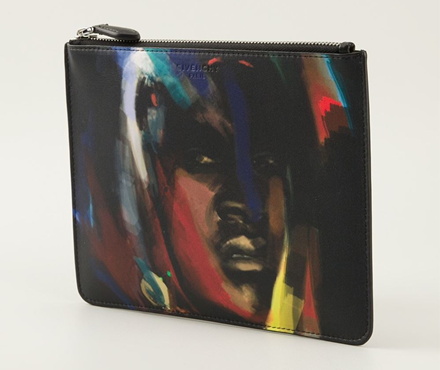 For Autumn/Winter 2014, they’ve released this beautiful abstract face clutch, which is currently available via Farfetch. I think it’s absolutely stunning and will add a genuine creative edge to any outfit – especially a simple black dress or a skirt, tucked-in t-shirt and jacket combo. 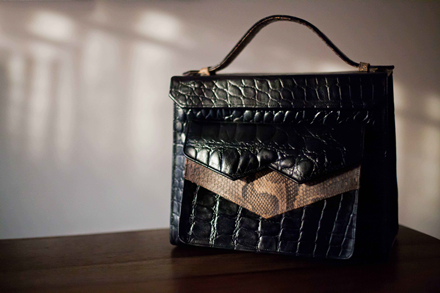 Founded in 2010 by Creative Director, Zainab Ashadu, Zashadu is a leading British/​Nigerian sustainable luxury accessories brand, specialising in handcrafted leather bags. 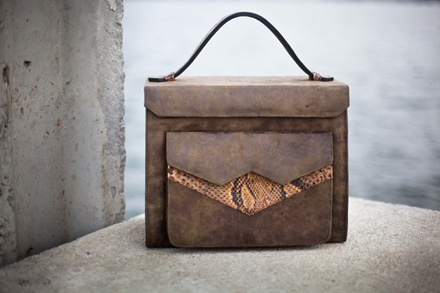 Zashadu operates out of Lagos, Nigeria, where Ashadu lives and works with sustainably sourced leathers, farmed exotic skins and rough cut precious stones set in brass. 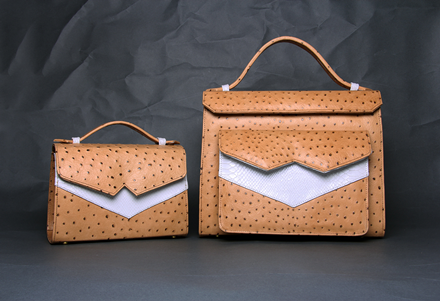 All of Zashadu’s pieces are created in its workspace in Lagos by a team using traditional leather­working techniques, unique to West Africa. You can purchase selected pieces from Zashadu through its e-shop. 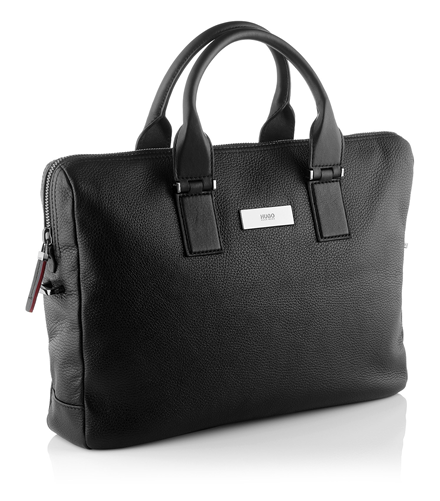 There isn’t an awful lot in the world that beats a really cute bag. 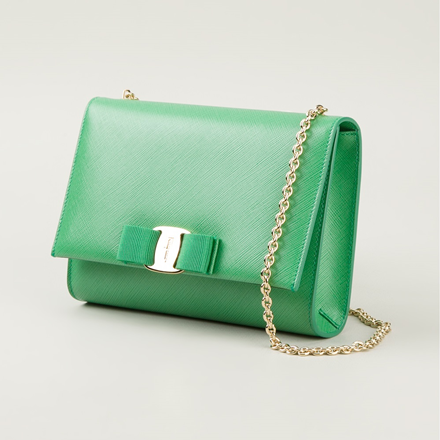 Salvatore Ferragamo‘s ‘Vara’ mini cross body bag in this beautiful shade of green is one of those bags I can’t keep my eyes off. It features a flap front with a magnetic snap fastening, gold-tone designer engraved bow detail at the front, gold-tone chain shoulder strap and a handy interior zip pocket. 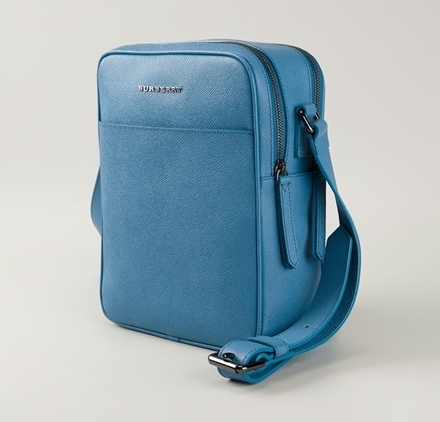 I imagine this bag would look fantastic paired with absolutely anything, whether it’s a reserved dress for the office or a flirty skirt, top and jacket ensemble for a day out with the girls!